Convert iTunes Music to iPhone Ringtone on Mac, Create iPhone ringtones. Enjoy protected iTunes Music on any device, - anywhere! Easily make your own ringtones for iPhone from any iTunes Music. How to Convert iTunes Music to iPhone Ringtone on Mac? Create your own custom ringtones for iPhone from any iTunes Music and video file. When you want to create ringtones for your iPhone from iTunes music, you will find that it can not be finished. Neither iPhone nor iTunes will automatically allow you to do this, you’ll need an app or creative manipulation of the iTunes software to make your ringtone. Then, although you may have the software which can make ringtones, you still can not load your iTunes songs to the software for the reason that the music you purchased from iTunes store is under DRM protection. You can only use the software to make iPhone ringtones from unprotected songs in iTunes library. As for iTunes purchased music which is under DRM protection, you need to use AppleMacSoft DRM Converter for Mac to output the music as unprotected music so that you can make ringtones without problems. DRM3 Converter for Mac can help unlock your iTunes DRM-Protected songs and output them as unprotected formats. Then you can load these songs to create iPhone M4R ringtones. For Windows users, please click here to download Easy DRM Converter for Windows. 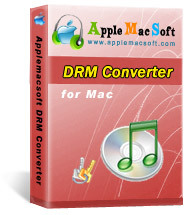 Step 1: Install AppleMacSoft DRM Converter on your Mac. Once you run it, you iTunes files will be launched automatically. Click "music" in the left of the main interface, and you will see all your songs. Then click the songs you want to make ringtones by checking the boxes. 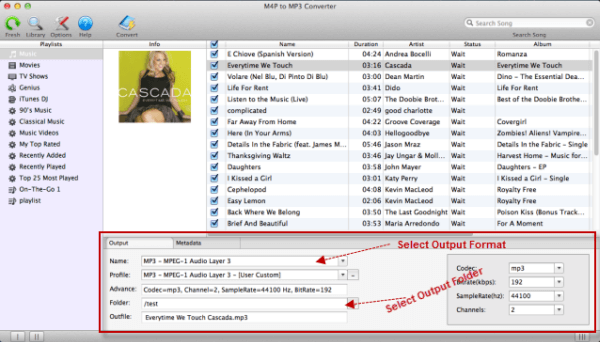 Step 2: In the bottom of the interface, please set the output format as MP3 and choose the destination folder that you want to save converted songs. 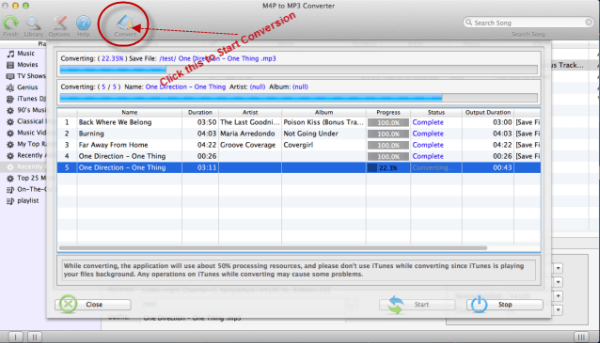 Step 3: Start Converting iTunes Music to MP3 or M4R. 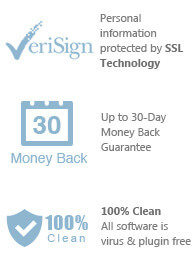 After setting all options, you can click "Convert" button to start the conversion. The conversion process need to take sometime. Once it finishes, the converted songs will be saved into the destination folder. Step 4: Make iPhone ringtone. Now you can load these converted music to Mac Ringtonesia iPhone Maker. With this software, you can edit, adjust and specialize your music and convert it to M4R iPhone ringtone. Then you can directly transfer ringtone to all version of iPhone or iTunes. Ready to create your own ringtone? Let's get started. Play rented or purchased iTunes movies on Roku. Fully support macOS 10.14.2 Mojave. You can immediately download the latest version of AppleMacSoft DRM Converter from our website and start to trial it right now !